Many people consider Morrison�s novels difficult to read. Most of her readers have at least one book on their shelves that they couldn�t finish or, when they did finish one, just scratched their heads in confusion. And when we think we are sure we know what she�s writing about, it turns out we are half wrong or only getting the tip of the iceberg instead of the whole, beautiful, brooding thing. 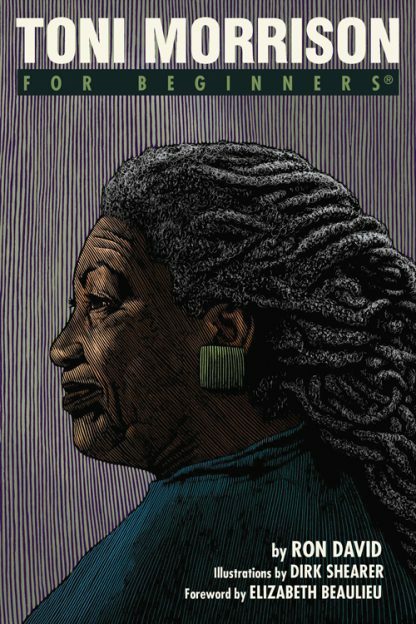 Toni Morrison For Beginners is about the woman, her books, her mission, her word music, and all that subtext in her writings. Morrison�s books are like the ocean: the surface is beautiful but everything that gives them life lies beneath. She�s the kind of writer who can change your life and this book is here to help you navigate the words and the woman. Dirk Shearer is a freelance illustrator who has created art for Spencer Gifts, Split Lip, Image Comics, and Evileye Books. Dirk received his BFA from Columbus College of Art and Design.